Here are 3 recipes that have been on my menu while I've been eating primal/paleo. They are all becoming staples around here, are very yummy and very healthy. Give them a try! Combine all ingredients in a jar with a lid. Tighten lid and shake until well combined. Refrigerate unused portion. 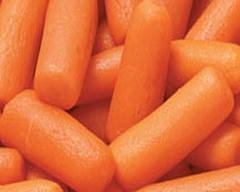 Place baby carrots in a microwave safe bowl. Pour lemon juice over carrots then sprinkle with dill. Cover lightly and microwave on high for 2 minutes. Pierce carots with a knife or fork to test for tenderness. Continue microwaving in 30 second increments until carrots reach desired tenderness. Using a cheese grater grate the cauliflower using the large shredder. This will produce little bits of cauliflower that look like rice. When you have your desired amount, heat oil in a skillet then add the riced cauliflower. Heat on medium heat stirring continuously until cauliflower browns slightly. Remove from heat, cover and let sit until ready to serve. My blog encourages women to take good care of themselves- I can tell by your blog that you are conscientious of that too. I hope you will stop by and say hello. I made a variation on the Cauliflower rice last night. I sauteed 1/2 diced onion, 1/2 diced tomato and 1/2 diced orange pepper in bacon grease first before adding the cauliflower. It tasted a lot like mexican rice to me. I'm thinking of mixing in an egg next time to make it more like fried rice.